New Year’s Eve in New York City can be mayhem. We prefer an intimate evening on NYE with our closest friends. This year, we cohosted a memorable rave with our friends, Harlan and Morgan, to properly bid adieu to 2015 and welcome in 2016. Raves originally referred to underground bohemian parties in London in the late 1950s but today they are largely about electronic music and dancing! It was an excellent way to ring in the new year and we are excited to share the details with you! Electronic music is the most IMPORTANT element of a rave. We usually play Pandora at our parties, but Harlan created a special Spotify music playlist appropriate for the evening. 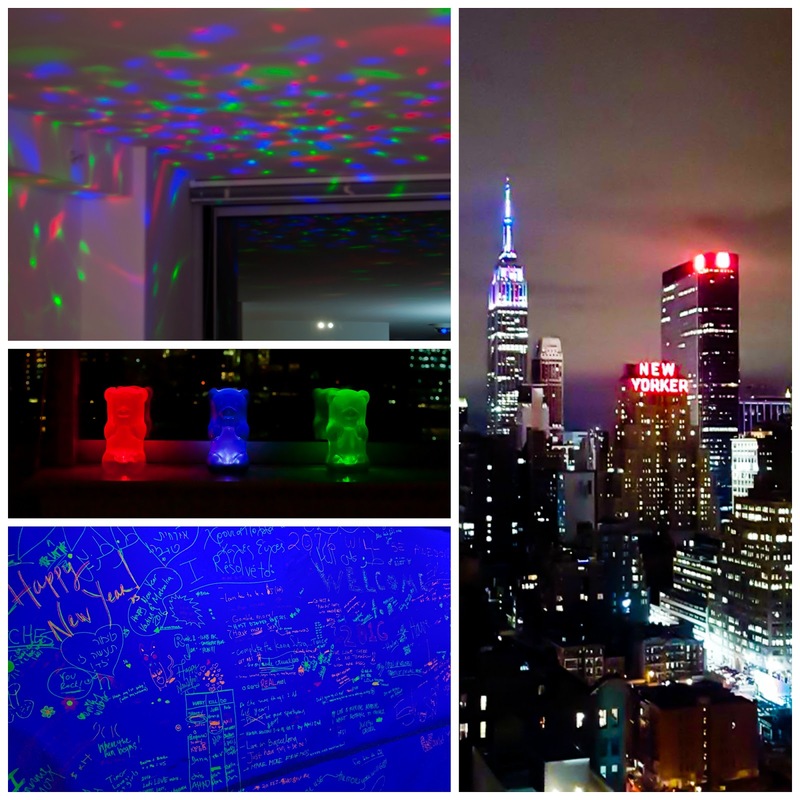 Lighting is also KEY to set the rave atmosphere inside a traditional NYC apartment. We incorporated backlights and strobe lights throughout the space. 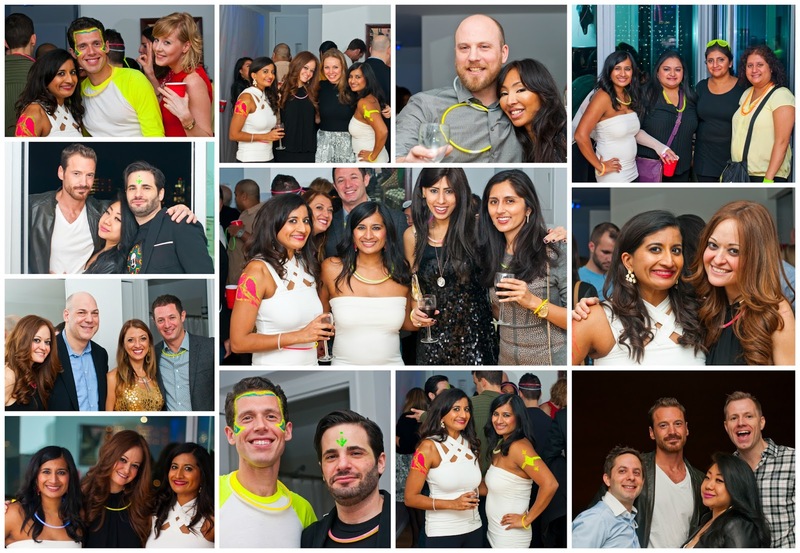 We decorated our guests with glow sticks and glow in the dark body paint. We also placed whimsical neon gummy bear lights on the window sill. Guests shared their NYE resolutions and special messages on white wallpaper with glow in the dark markers. Our space even included a balcony with a beautiful view of NYC. The menu was fairly simple: chips with guacamole, salsa and hummus and a cheese plate with Brie, Blue Cheese, White Cheddar, Goat Cheese, Horseradish Cheddar and Jalapeño with crackers, nuts and cured meats. Remember to serve a variety of cheeses – sharp, creamy, funky, spicy, nutty and/or fresh and incorporate cheese labels and cheese knives. For dessert, Archana baked a SCRUMPTIOUS seasonal treat: cranberry orange cupcakes with yellow, blue and pink vanilla buttercream in both regular and mini sizes. Since it’s NYE, she spiked the frosting with a little Triple Sec. We used the 12 regular sized cupcakes to create a countdown clock. We used two Twix bars to create the clock handles and white chocolate and numerical molds to make the numbers. We like to adjust the clock every 30 minutes. 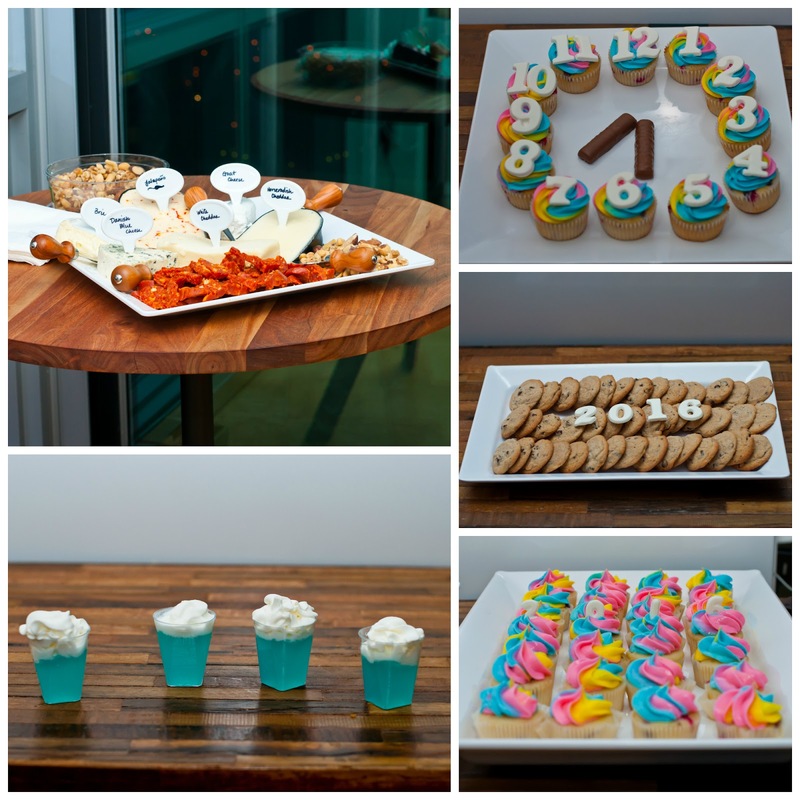 As an added bonus, the countdown cupcakes helped our guests tell the time! Adults usually prefer a small bite of sweetness, so the rest of the cupcakes were miniature sized. These cupcakes were so YUMMY, many guests definitely had more than one. We also served homemade sea salt chocolate chip cookies. For drinks, we served red and white wine. We started off the evening with a Hypnotiq shot topped with whipped cream, made by our friend Sunny. At midnight, guests enjoyed a glass of champagne. Guests were asked to dress in “anything that looks good under a blacklight.” We recommend white and neon colored clothing. 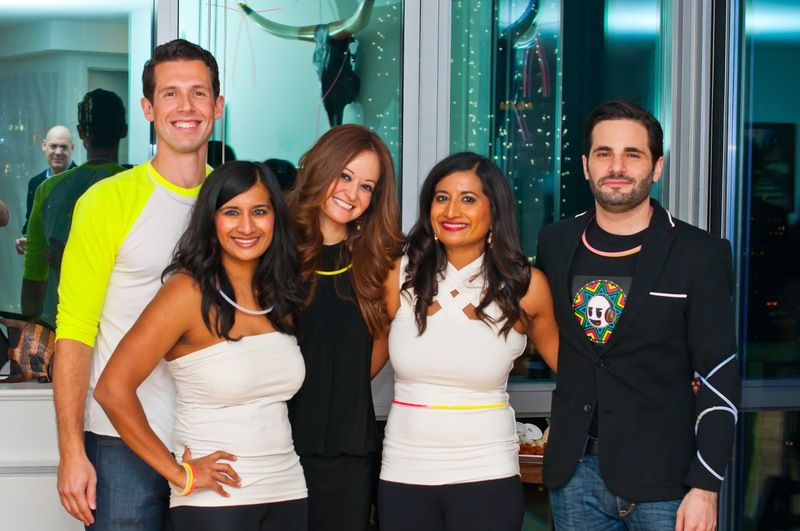 We decorated our guests with large and small glow sticks, which transformed into bracelets, necklaces, belts and anklets. Our guests had as much fun as we did with them! We also bought blacklight pens and face/body paint. We do not recommend the blacklight pens- they were hard to write with and we couldn’t see our designs under the backlights. The paint was MESSY but looked AMAZING at our rave. Our designer friend, Shima, hand painted original designs on our arms and Harlan’s face! We had a fantastic time at our rave. Thanks to everyone that joined us and here’s to an AMAZING 2016!